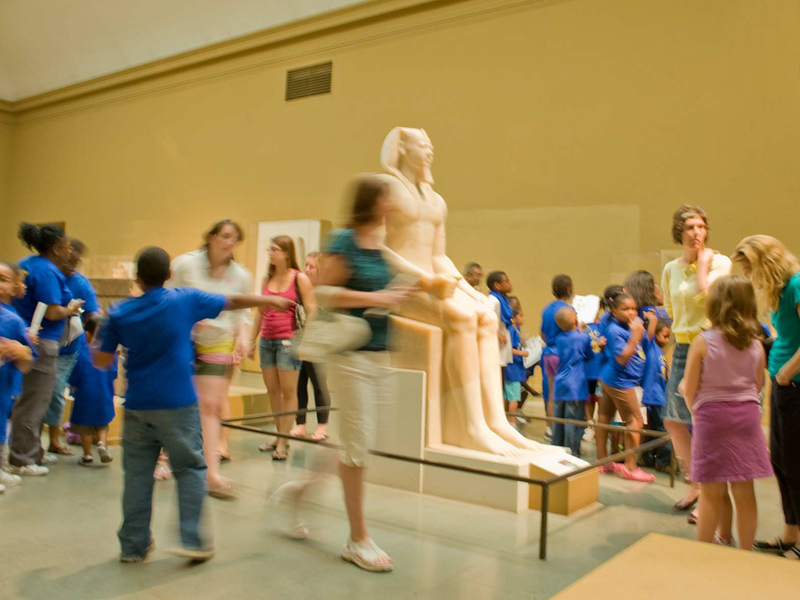 Work with other teachers and MFA educators to explore ways of enlivening the classroom using Museum objects as teaching tools. This summer, grade 4–12 teachers can participate in an in-depth learning experience with fellow educators and gain new teaching strategies in a four-day Teacher Institute focused on American art. Pre-K through grade 12 teachers can receive a $30 discount on membership and enjoy all the benefits of membership. Proof of active teaching status is required to receive discount; visit any MFA ticket desk and present your school ID, letter from the principal or head on school letterhead, or current MTA card. Discount is available in person only; mailed requests will not be honored. Looking for professional development for your school or district? We can work with you to develop a program that best fits your curriculum needs.